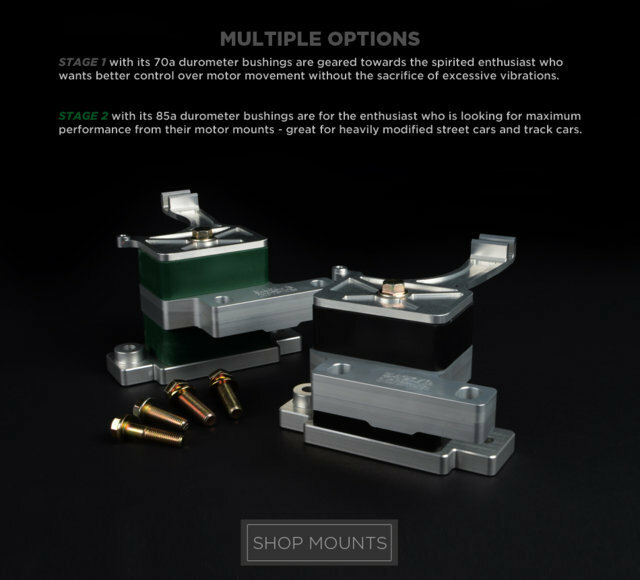 STAGE 1 with its 70a durometer bushings are geared towards the spirited enthusiast who wants better control over motor movement without the sacrifice of excessive vibrations. This are the best choice for daily-driven vehicles and are recommended for majority of our customers. 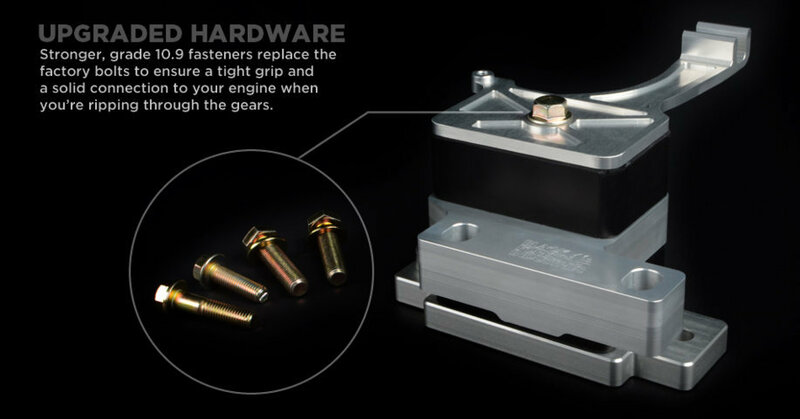 STAGE 2 with its 85a durometer bushings are for the enthusiast who is looking for maximum performance from his motor mounts - great for heavily modified street cars and track cars. 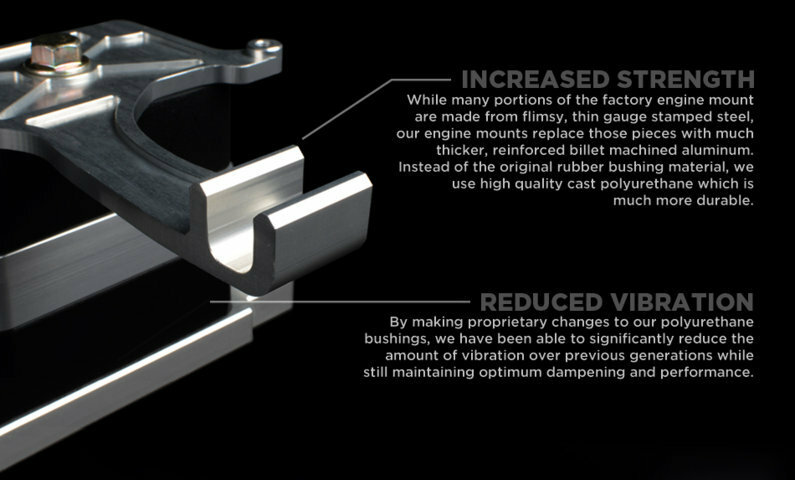 Expect a noticeable increase in noise, vibration and harshness when adding Stage 2 mounts to your vehicle.